Hello craft and gift fair enthusiasts! 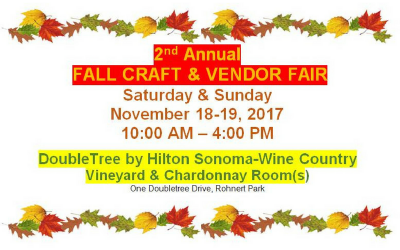 Mystical Rose is pleased to offer a Fall Craft Fair featuring 60 vendors!! A 6 x 8 space is $110.00 for the two days. Fee is $60 for one day. Table with cloth and skirt and two chairs is provided. You are encouraged to add shelving, a stand, gridwall, whatever it takes to make each spot a “store”. Deadline for applications is Sept 30th. If you wait until then your name won’t make it to the flyer.